The New Moon on Sunday September 9, 2018 falls at 17° Virgo. The New Moon September 2018 astrology is very fortunate because the main influence in September 2018 is Jupiter sextile Pluto. This aspect of opportunity and success climaxes on September 12. However, the September 2018 new moon is opposite Neptune which causes confusion, deception and fear. Resolving these initial problems will enable you to focus on reaching your new moon goals. Thankfully, the positives outweigh the negatives and there are more solutions than problems. This new moon will help you uncover secrets and overcome your fears. And this will lead to more confidence and success. A new moon represents the end of one cycle and the beginning of another new 28 day cycle. Sun conjunct Moon gives an invigorating burst of energy and initiative. So this is an excellent time for making a fresh start, turning over a new leaf, or starting a new project. You can also question old habits, behaviors and beliefs as you search for new and inventive ways to make progress. 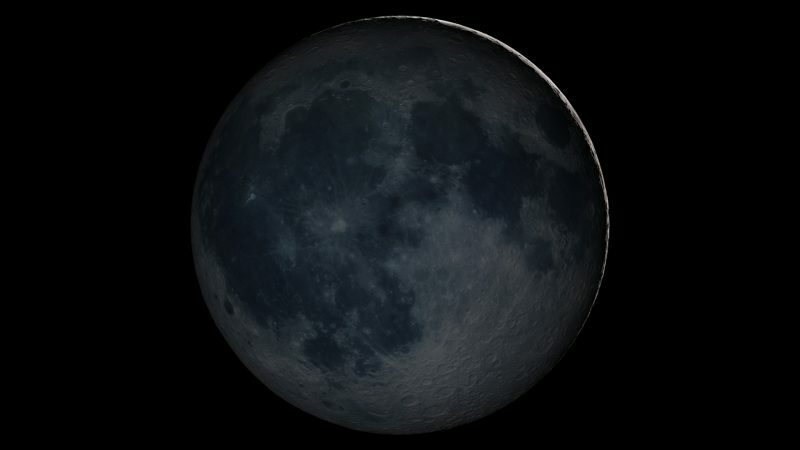 The effects of the September 9 new moon will last four weeks up to the October 8 new moon. The best time for making a fresh start and for beginning new projects is during the first two weeks of this new moon cycle. This waxing phase of the Moon lasts from September 9 to the September 24 Full Moon. The September 9 new moon at 17°00′ Virgo makes strong aspects to three planets. New moon opposite Neptune is the most important influence but it is the only difficult aspect in the chart shown below. Helpful aspects to Jupiter and Pluto offer solutions to any problems caused by Neptune. New Moon September 2018 comes just three days before Jupiter sextile Pluto. The opportunities for growth and success from this very lucky aspect outweigh any initial fears or confusion caused by Neptune. New Moon opposite Neptune is the strongest aspect in the new moon horoscope. This is a challenging influence that makes you more susceptible to confusion and deception. And this can lead to insecurity and discouragement. But you will notice in the chart below there are four harmonious blue aspects compared to the single red aspect. So there will be many opportunities to clear up any misconceptions or confusion. Other possible challenges include ego conflicts, and fear of competition or dealing with assertive people. Sneaky people may try to take advantage of your kindness and compassion. Then there are the tricksters, charlatans and others trying to sell you things you do not need or that do not exist. Difficult Neptune aspects also bring gossip, scandal, secrets and lies. It is important to be very clear and honest about your own intentions. But those helpful blue aspects will make it easier to clear up any recent deception, underhand tactics or lying on your part. They will help you deal with the harsh realities of life and take precautions to avoid loss and disappointment. This will give you time to develop your positive Neptune potential through compassionate, creative, spiritual and charitable activities. New Moon sextile Jupiter brings good luck and happiness. It also gives the honesty, morality and ethics to avoid deception and lies. Jupiter makes you more generous and hospitable. It gives the enthusiasm and optimism to start new projects and set your new moon goals. The growth you experience from new moon September 2018 will be material and spiritual, with opportunities coming your way to increase your wealth. Other means to expand your horizons may include further education and long distance travel. New Moon trine Pluto gives the intense focus and determination to uncover secrets and expose lies. It increases your self-confidence and gives the power and influence to deal with competition and assertive people. An intense drive to research and investigate will help you understand complex subjects. Consequently, this will help you avoid confusion and misunderstandings. The combined influence of positive Jupiter and Pluto aspects will improve your self-esteem and help you resolve any personal or professional problems. Jupiter sextile Pluto brings success through positive change. You will not have to force change or react to unexpected change. This is a natural development in your life associated with increased power and influence, spiritual and personal growth, wealth creation and professional advancement. Powerful forces are working behind the scenes to promote you to a higher level. Maybe you could get a promotion at work with more of a leadership role. A strong urge to reform something in your life will coincide with opportunities to do just that. So new moon September 2018 can bring great satisfaction with your achievements. It is especially helpful if you have a fear of success. Greater influence and popularity will likely come with your success. It is also possible that a person of power and influence will dramatically transform your life. If the New Moon September 2018 astrology chart directly affects your Sign you can read about it in your free Weekly Horoscope and Monthly Horoscope. Finally, for more details about how it affects your natal chart see Sun Transits. Thank you for the link Gerald.